1. 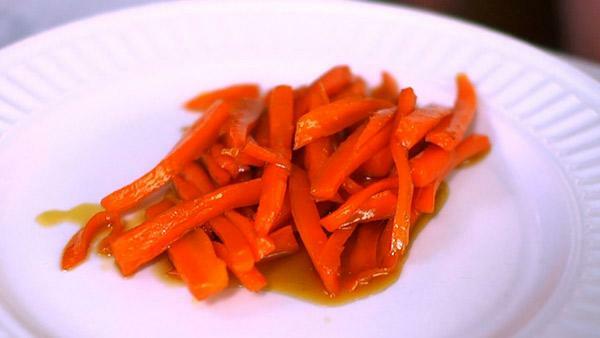 In a large skillet, saut� carrots in butter for 5 minutes. 2. Add brown sugar. Cook and stir for 1 minute or until the sugar is dissolved. 3. Stir in the cider, water and mustard. Bring to a boil. Reduce heat; cover and simmer for 10-12 minutes or until carrots are crisp-tender. 4. Uncover and cook 3 minutes longer. Stir to coat carrots with the glaze.